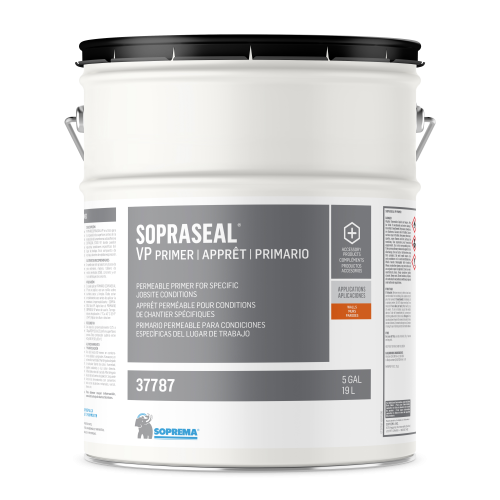 SOPRASEAL VP PRIMER is used for surface preparation before the installation of SOPRASEAL STICK VP self-adhesive membrane where specific jobsite conditions may demand. It is composed of resins and fast evaporating solvents. Store in a well ventilated area. Keep away from any source of heat, dampness, humidity, oxidizing agents or direct sunlight. Flammable before curing. Keep away from sources of ignition.